Chinese medical practice has been developed over many centuries throughout China’s history. Rather than being an ‘unbroken tradition’, Chinese medicine has been through several periods of persecution; the most famous of these being the cultural revolution under Chairman Mao. During this time, all ancient practices from China were outlawed. It was only in the 1960’s that Chinese medicine started to go through a revival and the system of Chinese medicine known as Traditional Chinese Medicine or TCM was formulated. TCM is a form of Chinese medicine taught widely in Universities and Colleges around the world, it is generally formulated of Acupuncture treatment, medical massage and Chinese herbal prescriptions. Essentially based on herbal theory, TCM aims to diagnose the internal condition of a patient’s body according to its thermal quality, the presence of pathogens and the state of a person’s Qi. In this way, any disharmonies can be regulated through the insertion of needles, taking herbal medicine or one of several other supporting therapies. Less widely studied these days are the ‘pre-cultural revolution’ medical practices which were not included in the creation of the TCM system. Various names exist for this kind of medicine but for ease of labelling we call this ACM or ‘Ancient Chinese Medicine’ within the Lotus Nei Gong school. ACM is a little different to its modern cousin of TCM. Though both share common theoretical frameworks and similar systems of diagnostics, ACM differs in that it looks at the nature of Jing, Qi and Shen in a slightly different manner. It also places greater importance on the quality of a person’s Blood. Rather than being fixed solely on the internal condition of a patient’s body, it focuses heavily on the quality of the channels themselves as well as the nature of the Shen. It also relies heavily on the internal development of the practitioner who may use their own Qi to aid in the treatment of disease. The system of Chinese medicine taught and practiced within the Lotus Nei Gong school is a combination of both TCM and ACM. 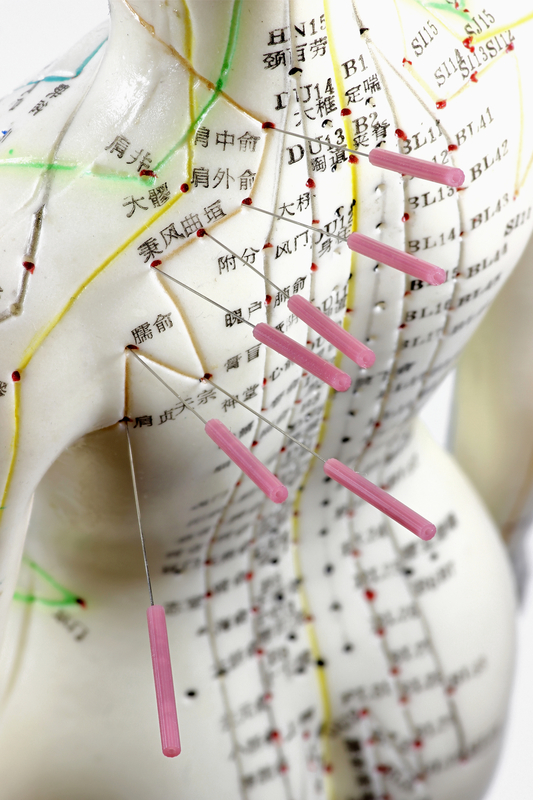 Both modalities are studied by our students in order to give them a rounded understanding of Chinese medicine. Both methods have their strengths and weaknesses and so being able to switch between them enables a more effective form of treatment. Generally, the fundamentals of TCM are taught first as TCM has the great advantage of having a very systematic approach with regards to the way it is taught. From here, ACM is taught to intermediate and advanced students since some ACM concepts and methods can be quite complex at first. Though really just another branch of Lotus Nei Gong, we teach the Chinese medicine courses under the heading of the Xiantian College of Chinese Medicine (XTCCM). This college falls under Lotus Nei Gong and can really be seen as a separate ‘department’ within the wider school. 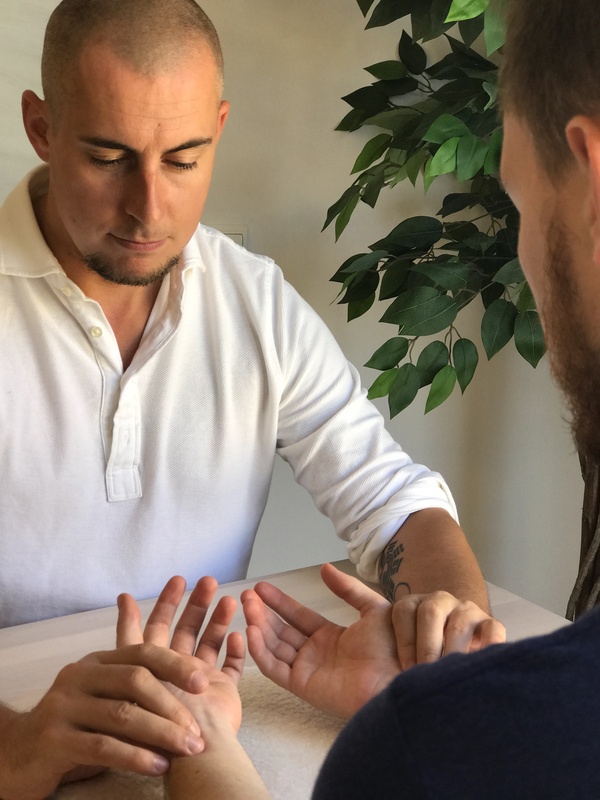 It is headed by Damo Mitchell and Rob Aspell, both experienced practitioners of Chinese medicine who teach together on the Diploma course as well as shorter events for pre-qualified students who are already working in a clinical setting. Xiantian college has its own website as well as being included on this one. You can find more details by clicking here. The site has information on upcoming training events as well as the starting dates for the next Diploma course, an event we run every three years so that we only focus on one cohort of students at a time. 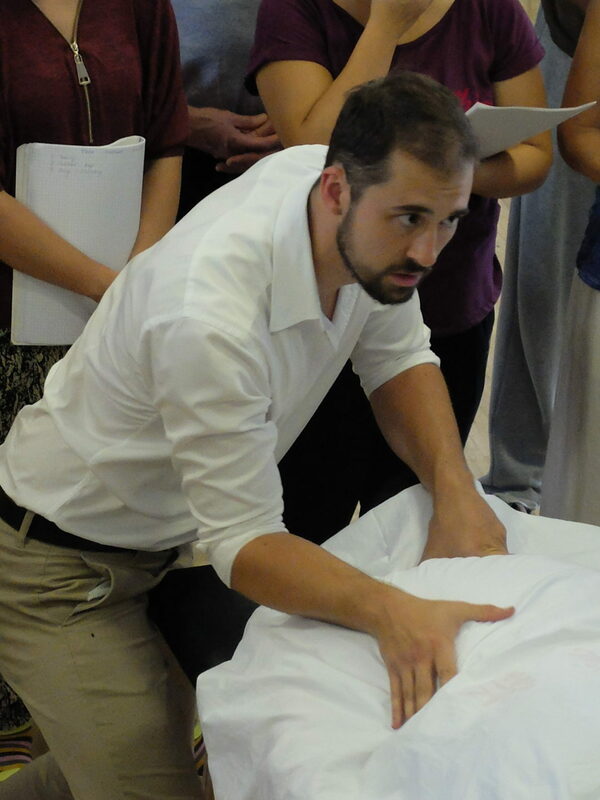 On the Diploma courses that we run, students study medical massage or Tui Na right from the first course. This training is used to help give them a working understanding of the body and learn points and ‘landmarks’ of the body through palpation. 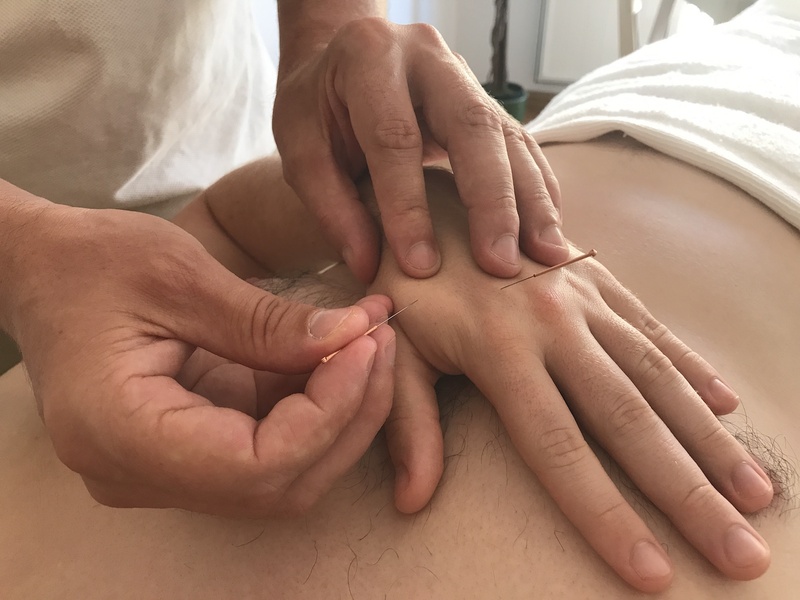 From here they begin to practice Acupuncture (the insertion of fine needles into the body) alongside the massage to enable a wider array of conditions to be treated. Further methods include the use of cupping, Guasha (scraping therapy) and Moxibustion which is the burning of the herb Mugwort on or near to the body. These are the ‘base’ methods studied by our students. Further study can include herbal medicine or Wai Qi Liao Fa which is often known as ‘Qi therapy’ or ‘emission of Qi’. Note, however, that in order to study Wai Qi Liao Fa students must be well versed in Qi Gong and Nei Gong training as well as Chinese medicine. This means that generally only our very senior students go into this aspect of internal arts study. The basis of disease in Chinese medicine can essentially be broken down into two main categories, these are ‘internal disease’ and ‘external disease’. Internal disease is a state of disharmony that develops from within a person. This is due to such factors as a poor diet, a congenital issue, emotional make-up and inherent spiritual conditions. External disease is developed due to factors ‘outside’ of the body such as climatic factors, trauma, contagious disease or deeper issues such as Ming (life-path/fate) based problems and even possession by ghosts. It is the inter-transformation between these two locations which we are most interested in when working to understand how a disease progresses. By finding the Qi of the illness we can learn to contact the disease during its progression and change the manner in which it is developing. In this way disease can be expelled, deficiencies nourished and other methods applied. Within the diagnostic process, these factors are looked at and assessed through various methods including pulse diagnosis, tongue observation, palpation of both the physical and energetic system as well as the consultation process. A clear picture is developed of the patient’s condition and then treatment protocols are devised from here. As with all ancient traditions to come out of China, medicine is not just a form of healing in the conventional sense but also a form of cultivation for the practitioner. On top of this, treatment for the patient is aimed at aiding them in re-alignment of their being with their own path through life; this means it also aids them in their own cultivation, whatever form that may take. Any study, if taken deep enough, can begin to develop a person’s consciousness and nourish their spirit. It is the application of awareness along with discernment of the nature of Qi that makes Chinese medicine into such a practice. Within Daoism (one of several traditions that formed the basis for Chinese medicine’s underlying ethos), the inner environment of the human body is a direct reflection of the external universe. Indeed, many of the points and channels of the body are a direct reflection of constellations and star alignments in the night sky. The cycles and rhythms of human life are an inner manifestation of the movement of the seasons and the passing of time. Understanding all of this helps to develop the consciousness in a very specific manner. The Daoists state that comprehending the Universe is an infinitely difficult thing to do and so instead we look inside to gain this understanding. Through Chinese medical practice we are absorbed into the inner environment of our patient’s body and so here we carry out our study; all at the same time as helping them return to a state of harmony! Qi Gong for ourselves and Chinese medicine for the benefit of others.